This post is sponsored by Pacific Foods. Thanks for supporting the brands that make DK possible. I’m breaking so many rules with this vegan gumbo and I don’t even care. 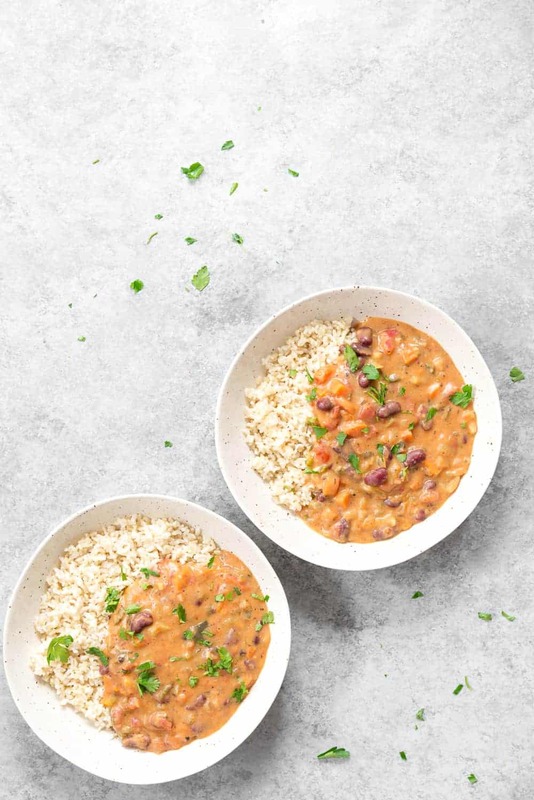 Who needs shellfish or sausage when you’ve got kidney beans and lots and lots of yummy cooked celery, bell peppers and onions? This is gumbo for the weekend. Though it doesn’t take much prep time, it benefits from a lot of simmering time. Simmering on the stove to get the vegetables nice and browned and very, very soft and then time for the added roux to thicken the whole thing up into a mix between stew and vegetable-bean gravy. I practically slurp this up, especially when it’s served over cooked rice and definitely some biscuits or crusty bread. It’s exactly how a Sunday dinner meal should be. 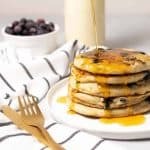 As familiar readers know, I’ve been working with Pacific Foods for the better part of a year to bring you a delicious, dairy-free recipe each month. I can’t tell you how exciting it is to me that in 2019 we have SO many plant-based beverage options. I was in the grocery store last week and the plant-based beverage section took up 2x as much real estate as the milk section! It’s really awesome. 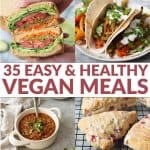 Not only for those of us who prefer a little less dairy in our lives, but also for those of us who want more choices when it comes to cooking and baking. I love that I can use hazelnut beverage to make the world’s best nutella cupcakes, oat beverage to make perfect chocolate cake, cashew beverage to make silky cheese sauces and on and on. If you opened my fridge right now, you’d see at least 3 different types of plant-based beverages and I think we’re all the better for it. 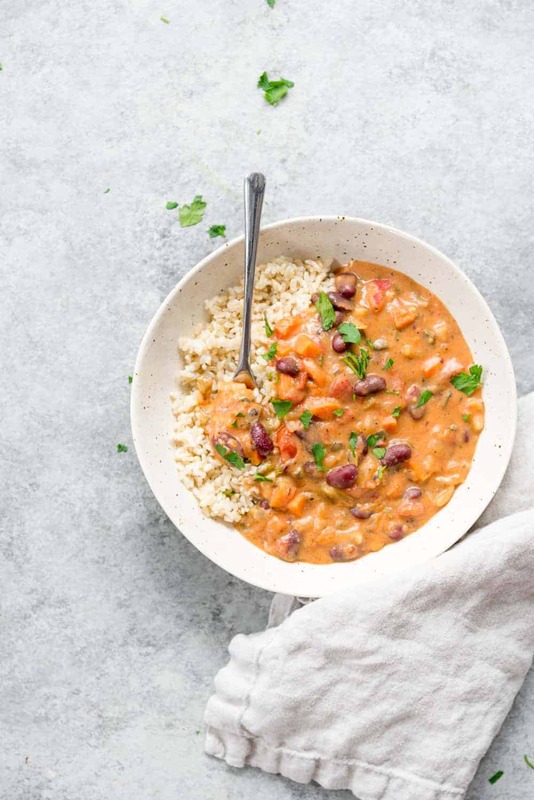 This gumbo features Pacific Foods Organic Unsweetened Soy Beverage in the roux; a classic combo of butter (vegan option), flour and silky soy beverage. 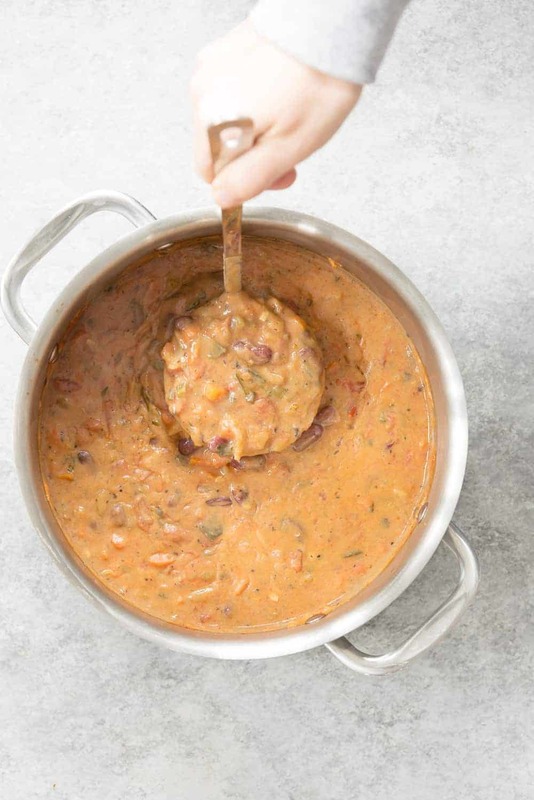 Together these three things create a thickened white sauce that makes the gumbo perfectly stick-to-your-ribs-delicious. 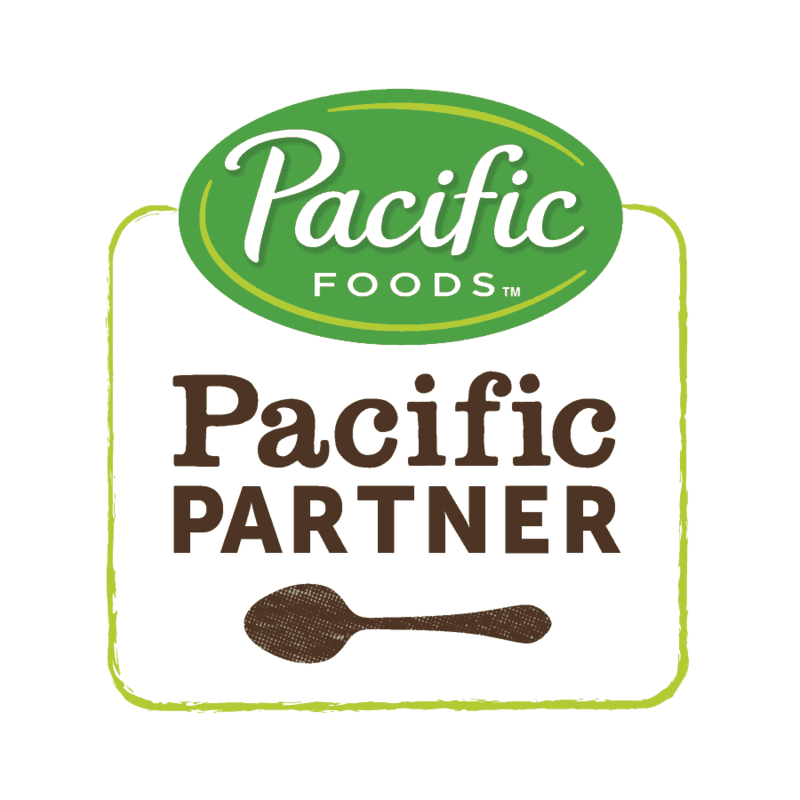 I love that Pacific Food’s Soy Beverage is mild in flavor and contains only two ingredients: water and organic soy beans. 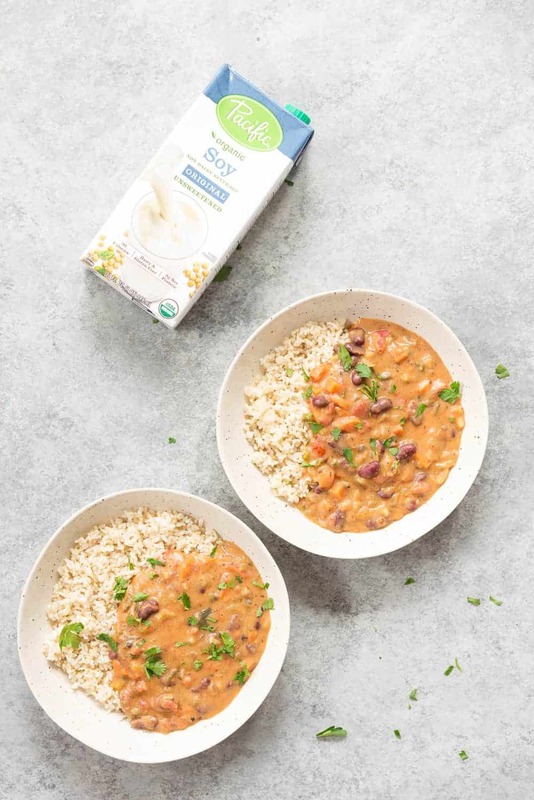 Though, for those who prefer a fortified version, they also carry an Ultra Soy Beverage with added vitamin A, B vitamins, Vitamin D and Vitamin E. This is the one that I use for Vander and both versions are perfect in this dish. 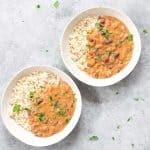 Vegan Gumbo! 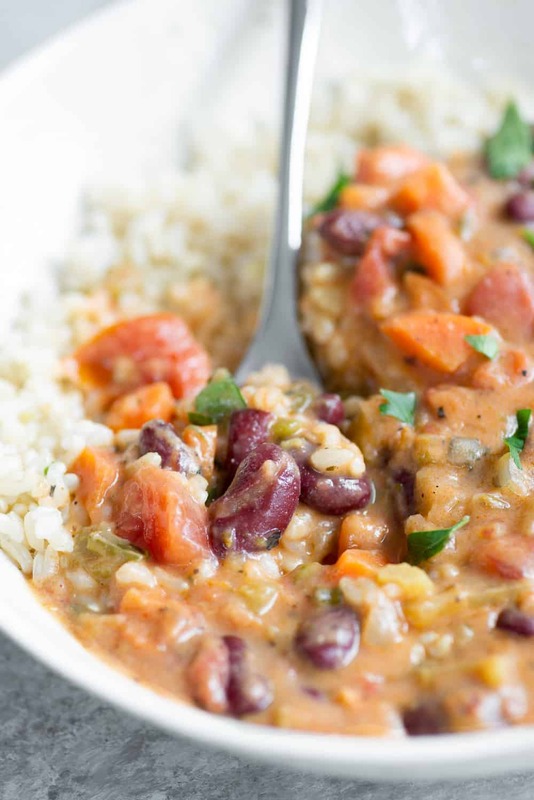 A hearty, cold-weather dinner packed with beans and vegetables. Heat the olive oil in a large pot over medium heat. Add the garlic, jalapeno, onion, celery, carrots, bell peppers and saute for 10-15 minutes until vegetables are very soft, stirring often. Add in the cajun seasoning and stir until combined, letting the spices bloom- about 30 seconds. Add in the tomatoes, broth and bring to a boil, then reduce heat to low and cover, letting simmer for 45 minutes, stirring occasionally. Right before the gumbo is almost done simmering, cook the rice and make the roux. Melt the butter over medium heat and add in the flour, then stir and cook until flour is golden brown and slightly toasted. Add in the salt and whisk until very smooth and not grainy. Keep whisking, adding in the milk, a little at a time, until completely incorporated and then simmer until thickened, about 5 minutes. Add the roux to the gumbo, stirring to combine, then add in the beans and the sausage, if using. Let simmer for another 10-15 minutes, adding more broth if needed/desired. Season to taste, adding more salt/pepper/cayenne as you want. Serve over rice! I originally made this gumbo with vegan kielbasa sausage, but it’s so hard to find that I decided to make it optional. If you can find it- it’s super yummy! Add it in when you add in the kidney beans and heat until warmed through. You can also brown it before adding, if you want extra flavor. Thanks for supporting the brands that make DK possible!